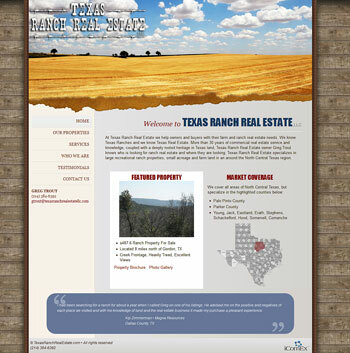 At Texas Ranch Real Estate LLC we help owners and buyers with their farm and ranch real estate needs. We know Texas Ranches and we know Texas Real Estate. More than 30 years of commercial real estate service and knowledge, coupled with a deeply rooted heritage in Texas land, Texas Ranch Real Estate owner Greg Trout knows who is looking for ranch real estate and where they are looking. Texas Ranch Real Estate specializes in large recreational ranch properties, small acreage and farm land in an around the North Central Texas region. Full Service TEXAS RANCH REAL ESTATE,LLC - In today's highly competitive real estate market, the Texas Ranch Real Estate sales objective is simple: obtain the highest price in an optimum amount of time, using the most efficient and effective processes to achieve such results. Selling a ranch or recreational property requires strategic marketing skills and tactics that maximize exposure of your property to the broadest range of qualified prospects. Welcome Greg Trout and Texas Ranch Real Estate to the iComEx family, we look forward to serving you and the Ranching Community in North Central Texas for many years to come. Holt James Law United States immigration law is constantly changing. Filing for a visa, permanent residence, or citizenship without knowing the intricacies of the law may adversely affect your case, sometimes permanently. It takes a dedicated attorney to keep up with the ever-changing laws, regulations, and policies that dictate how a case may be decided. Don’t step into the immigration minefield without an attorney that practices immigration exclusively. Contact the Holt James Law Firm. Martha H. James works with companies and individuals to obtain immigration benefits. She has helped hundreds of people obtain H-1B, L1, B1 and F1 visas. Additionally, she works very closely with foreign physicians to obtain J1 waivers through the Conrad 30 programs, Appalachian Regional Commission, Delta Regional Authority and Hardship Waivers. She has obtained labor certifications and national interest waivers for those seeking permanent residence and naturalization for clients wishing to establish permanent ties with the United States. Welcome to the iComEx family Holt James Law. We look forward to the future and doing business with your company. Congratulations on your Success! For many years Lake Kiowa is "The Best Kept Secret in North Texas" according to almost everyone out here. If you ask, most will have a lot to say about living and playing in this sought after community. They may also tell you that Lake Kiowa is a private, gated, single family, residential golf and lake community that is located in southeastern Cooke County, Texas. Lake Kiowa features a pro-designed golf course, boating, fishing, camping, tennis, fun and relaxation. This beautiful paradise is only 10 miles Southeast of Gainesville Texas and just one hour North of the Dallas - Ft. Worth Metroplex. So, why don't you take a drive out here to Lake Kiowa, and see what this "Best Kept Secret" is really all about? If you'll contact me, I'd be very happy to arrange for you to see our community, and a few of the lovely homes or lots that I currently have listed. Look below, and let me know right now how I can help you find the home of your dreams. 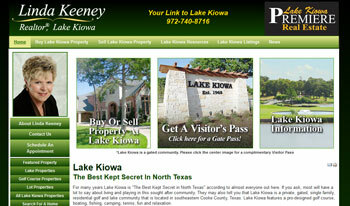 Take a tour of Lake Kiowa and you'll see why D Magazine called it "South Florida dropped in North Texas"
iComEx completed the 2nd revision of this new Linda Keeney website. As approved NTREIS vendors, this site now promotes the regular MLS listings for Homes for Sale, Commercial Properties, Multi-Family Homes, Land & Lots, and Properties for Lease as well as a featured Lake Kiowa listings only locations. We appreciate you Linda Keeney, and wish you the best success in the coming years at Lake Kiowa Premier Real Estate. Stop By Our New Boutique! Welcome To Sassy Sheek! Just so you know the Boutique is going to be open Sundays December 9th, 16th and 23rd from 1-6 for Christmas shopping. As well as Tuesday - Saturday from 10-6. If you need to shop at a time outside of our regular business hours let us know and we will meet you by appointment! 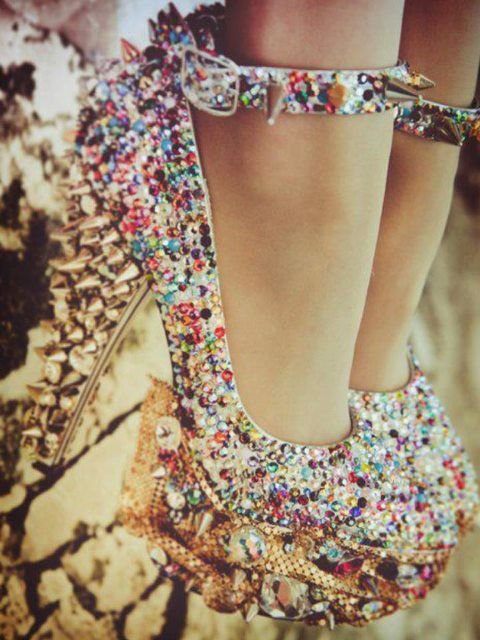 Come and see all of the Sassy Sheek ladies’ clothes, jewelry, accessories, purses & shoes. Peruse the great items for all ages, as well as a great selection of beautiful home decor. Be sure to visit our Facebook page. We have lots more photos there with tantalizing items we know you have never seen before... The link is at the top right of this page. A drawing will be held for a $100 store credit, as well as two $25 gift certificates towards hair services from hair stylists (Misty Lleverino & Katrina Narro). Check it out right now with your SmartPhone. You can also save as a bookmark on your home screen too! 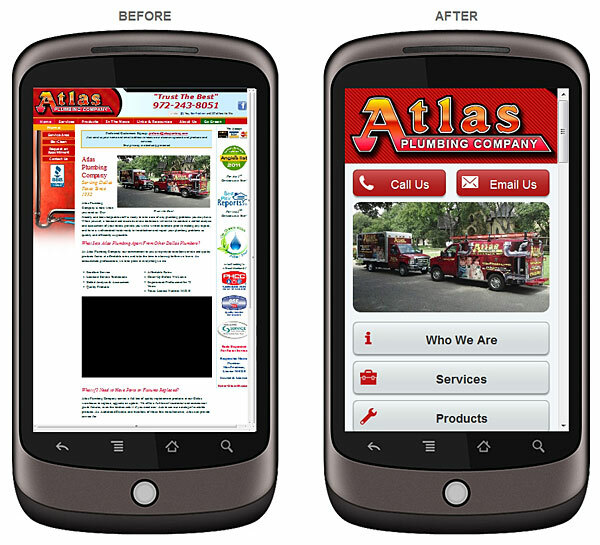 From your phone, access Atlas Plumbing and you will be redirected to the new mobile website automatically. Very exciting for those that need plumbing services on the run! Although we are still tweaking, we appreciate any feedback you have. Why Should You Call Atlas? Many times people try to save money by not hiring a professional plumber to perform a necessary repair. Often times that work is not done correctly. The cost of the original repair, plus the cost of a second repair, and any repair or replacement caused by the failure of an improper repair can skyrocket. Your time is valuable to you, and the best advice we can give you is let a professional plumber do it right the first time. For over 75 years Atlas Plumbing Company has protected the health and well-being of our friends and neighbors in the Dallas service area. Atlas Plumbing Company is here to serve you. Do You Want A Mobile Website For Your Business? Call Us Today at 972-712-2100. Your Favorite Mobile Website Company in Dallas, McKinney, Sherman, and Denison.